TEXT-2-AGENT Sending text and pictures to your call center? We have been integrating SMS to CISCO UCCX and ShoreTel Call Center deployments for customer service scenarios for some time. The interface is very simple: Login, pick a number from anywhere on the planet; assign a “keyword” and match it to an email address or list! When someone text your “keyword” to your number, the text is converted to email and sent on to that address. The email recipient can then hit reply and we convert the email back to SMS and forward it back to the original Cell phone. 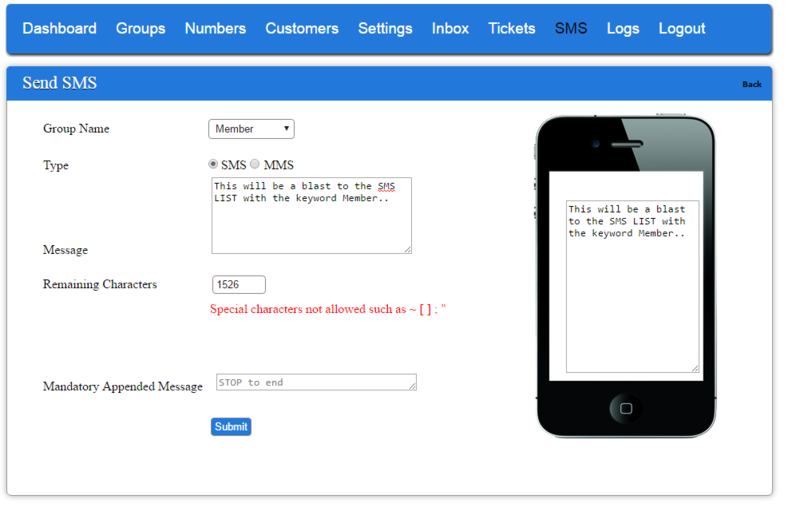 Optionally, you can build a membership list with and auto response and the ability to send a bulk text to the list! Inbound SMS to email Address based on “keyword” match with REPLY ability; – this enables you to use one number and many different keywords that point to different email addresses. The recipient can hit reply like any other email and send a response back to the sender of the SMS, usually a client who has a cell phone! Inbound MMS to default email address – enables a cell phone to send a photo or picture into the customer service organization which will route to the default email address. 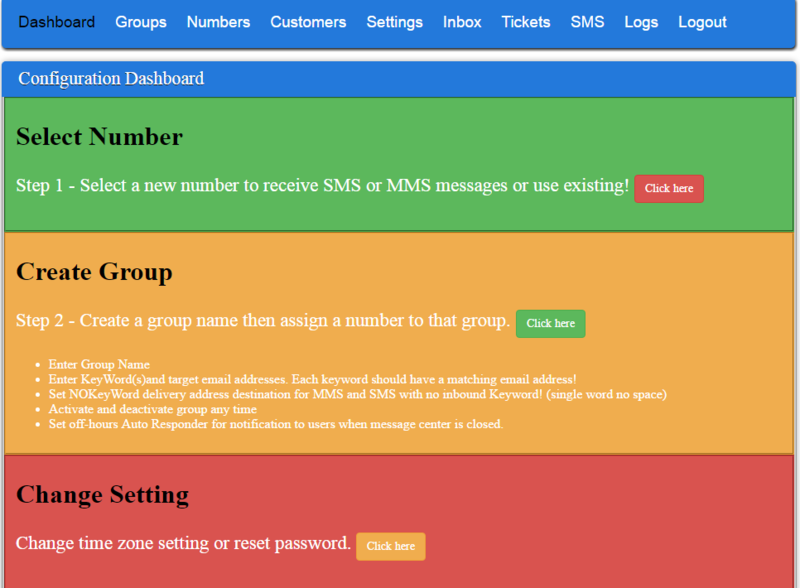 Inbound SMS to outbound SMS; – Stealth mode, you can forward an incoming SMS to another SMS. Email to SMS – enables a customer service representative to send a text from an email client. The address can be a keyword group list or an individual cell phone number. Each transaction has a unique “ticket” number, all transactions are searchable, logged and archived for HIPPA and PIC compliance. We are finding that Insurance, medical, auto and tech support applications in particular are receptive to the concept of enabling clients to send a picture by text to a customer service representative. We can easily set you up with a demo account. A basic single number solution with 500 SMS credits is about $25 a month! Send the word “DEMO” (all ONE word, watch that auto correct) to 424-348-4000 and include your email address for an example of how this could work on a ShoreTel ECC or CISCO UCCX; or just create an account! Note – Your do NOT need a formal call center to implement this technology. An email distribution list to customerservice@yourcompany.com works just as well!